Meet your guide at the hotel lobby. 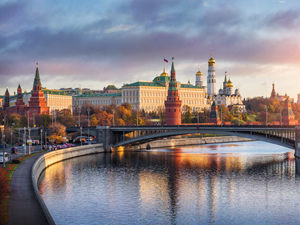 You will explore one of the most interesting sites in Moscow – Moscow Underground! First opened in 1935 with only one line and 13 stations, it has developed into a parallel world with its own legends and traditions. The system now accumulates over 200 stations, 12 lines, monorail and an orbital railroad which all together allows more than 8 million people to use it on daily basis. 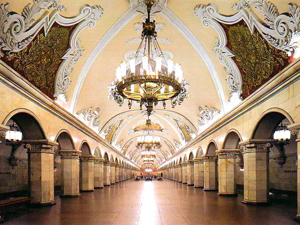 Moscow metro is world famous for its beautiful stations and still remains one of the most remarkable underground systems. Incredible cooperation of engineering and art brings the design of the underground to an absolutely new level. 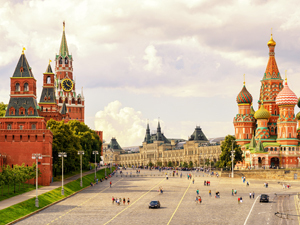 Enjoy the impressive interior ornaments of the Soviet era created in the Socialist Realism style (bronze sculptures, semiprecious stones, mosaics and frescoes, stained glass and monumental statues). Each line has a number, name and colour that made them quite easy to remember. Stations to visit: Novoslobodskaya, Mayakovskaya, Komsomolskaya, Ploshad Revolyutsii, and Kiyevskaya.